As the Chief Executive of the Hong Kong Special Administrative Region (SAR), you could imagine I have many, many events that I need to go to. 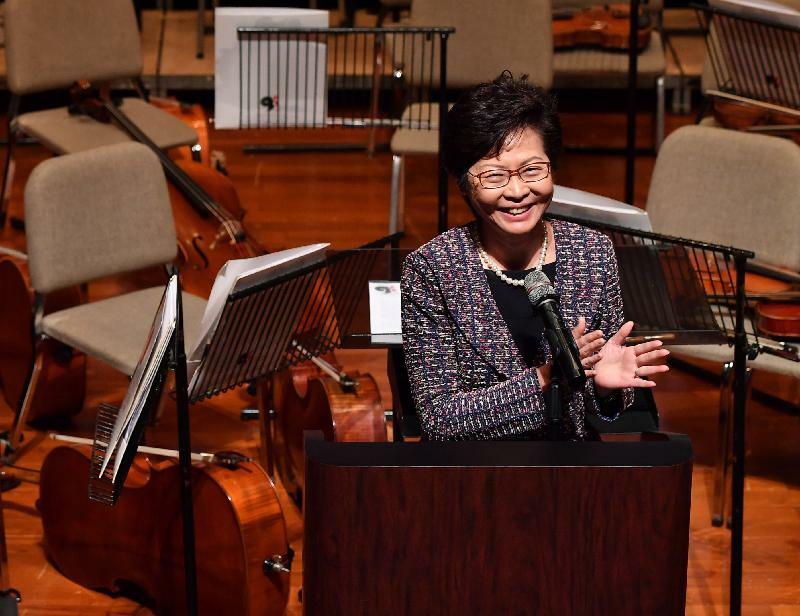 But this opening of the AYO rehearsal is an event that I have been looking forward to, not because I'm unfamiliar with this function – this is my fifth successive year coming to the AYO rehearsal – but this is the first time I'm coming as the Chief Executive of the Hong Kong Special Administrative Region. For those who are not familiar with the government hierarchy, the Chief Executive is the number one in the Hong Kong SAR Government. And my previous position in which I came here for four times was as the number two, the Chief Secretary of the Hong Kong SAR Government. So there is indeed a difference. But coming here for the fifth occasion, I see a lot of familiar faces: Jim, Richard, our Japanese Ambassador although even his predecessor came, and David and James and Roy and of course Keith. So these are the people who have been so loyal supporting AYO for the past two and a half decades, so shall I invite you to give them a big round of applause? 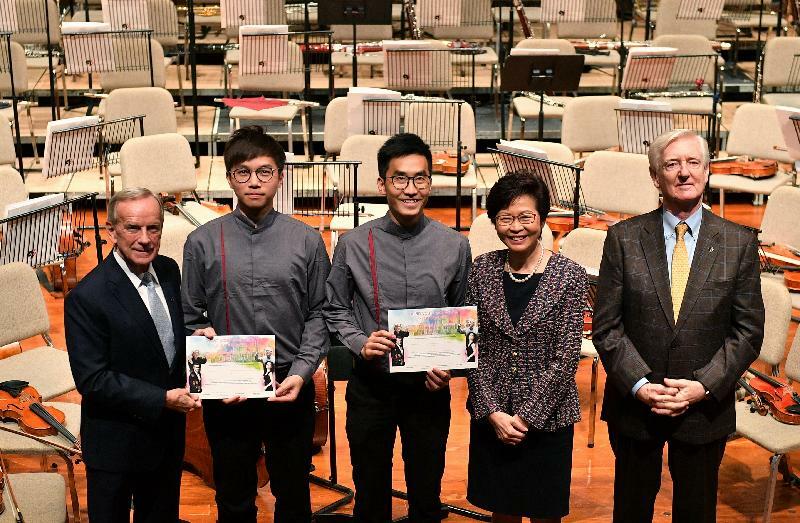 But this year, this evening, there are at least two new faces - the US Consul General, Thomas, and the Italian Consul General, Antonello – because this year is not just an ordinary Asian tour for our musicians. This is a world tour. You will be taken to three continents, nine countries, 20 cities over 45 days. So this, in a travel agency advertisement, will be a grand world tour. But there is no free holiday – you have to work extremely hard by performing, and performing well, in 22 concerts in these 20 cities. But I have every confidence in our young musicians, not because you have gone through very competitive audition. Because once you join AYO, you will pick up that passion to do well. You will pick up that confidence to do well. If you don't believe me, please watch that documentary by Ruby Yang. Actually, that documentary could have been made our Oscar nomination, but in my view that is of course of Oscar quality. But never mind the competition in the Oscar. 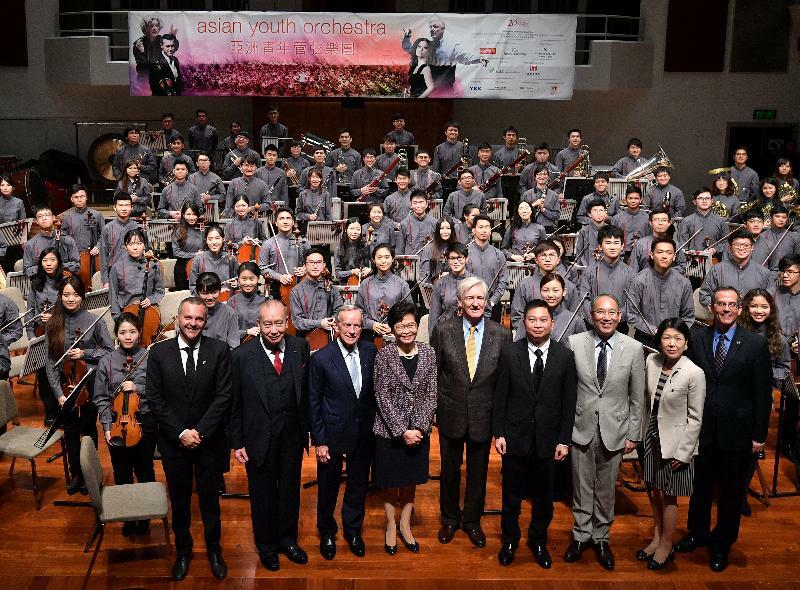 So I want to come here to thank AYO, thank Richard, thank Jim and all, a lot of people here, for doing this thing for our young people and choosing Hong Kong as the base for the Asian Youth Orchestra. To be very honest with you, when I discussed with Richard in late 2015 about doing something grand for the 20th anniversary celebration and providing the funds for this grand world tour, it has raised a few eyebrows from some jealous people. Why are you giving so much money to AYO when other major performing groups are not given the same treatment? My response is nothing is more valuable than investment in young people and investment in young musicians, and you give us this added value to this money by the friendship that you will build over the next six, seven, eight weeks. I hope that that friendship that you will build over this period of rehearsal and tour is long lasting, and I hope to see you in some of the major orchestras in time to come. So good luck and enjoy your rehearsal camp, and do well in the world tour.